RTRs are the perfect way for beginners to get into the hobby. They will get the user up and running in as much time as it takes to charge the battery. However, many companies have to hit a certain price point which affects what features are included with their vehicles. 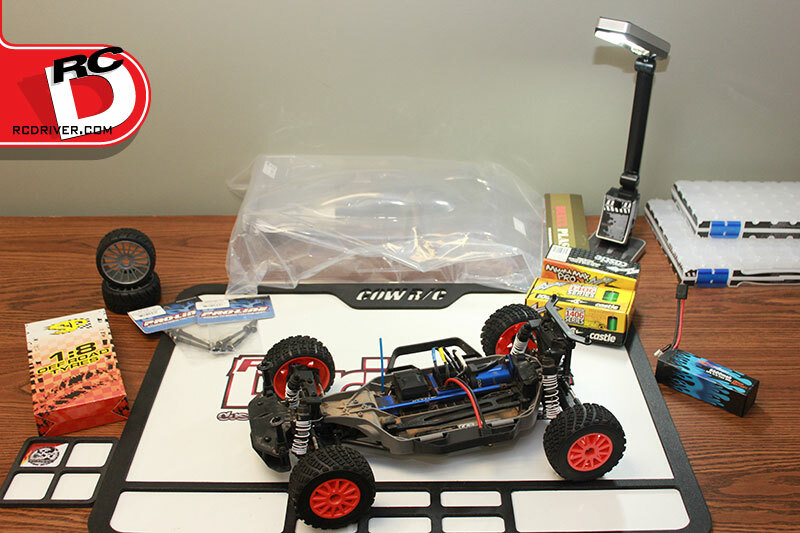 One of the best things about our hobby is if there is something you want to change or improve, you can with a vast variety of aftermarket parts and accessories. I have tested many RTRs over the years, and have noticed trends among all of them and would like to give my recommendations for the best 9 Option Parts to upgrade. 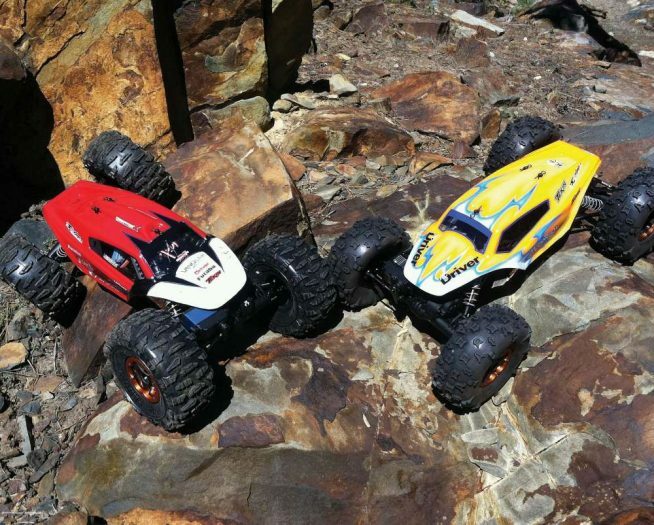 RTR’s nowadays are still looking to get the user up and running as quickly as possible, but this often results in small capacity packs and wall chargers only suitable to them. Ditch that 1800 mAh NiMH pack for your new car and grab yourself a high quality 5000 mAh NiMH or LiPo pack and upgraded charger. You will see the performance of the vehicle come alive as the motor is now provided with more current. With the charger upgrade, you can expect to charge your packs in less than an hour since most of them are customizable to your need. By far this is the best bang for your buck upgrade that will show noticeable improvements across the board. I decided to lump all suspension related upgrades into one section since there is such variety in many RTR’s depending on price po int. 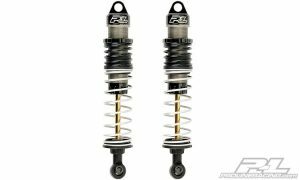 On entry-level products plastic shocks with clips to adjust ride height are great candidates for replacement. 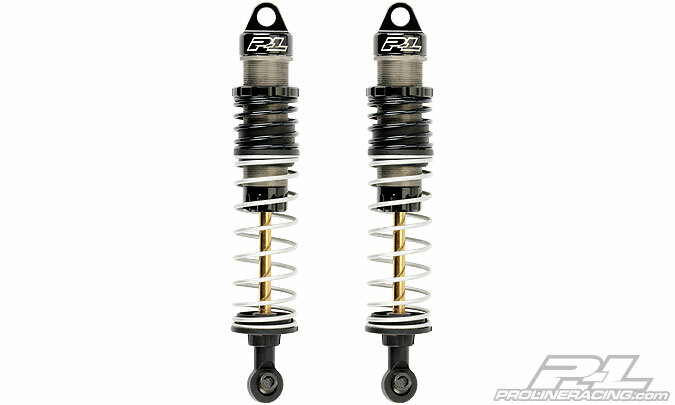 An aluminum threaded shock offers both increased durability and unlimited tuning adjustment with no spacers to lose. If your vehicle has these already equipped, often the shocks can use some fine tuning at the very least. Pick yourself up some softer and heavier springs and experiment with different oil weights to dial in the suspension. Lastly, some vehicles do not have adjustable control arms or fixed links which do not allow proper setup. Most manufacturers and plenty of aftermarket companies generally will offer turnbuckles which will allow for the camber and toe angles to be set, which is extremely important in steering performance and stability. Many RTR’s these days still are using plastic dogbones or driveshafts. 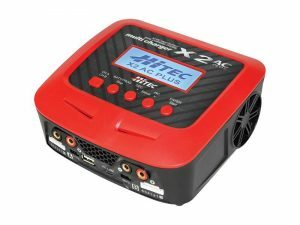 These will generally work with the weak stock battery, but if you took my advice and upgraded the battery you are pushing more power through the vehicle now. Plastic can only last so long before it wears out and either breaks or warps, thereby not transmitting as much power to the wheels as it should be. Metal dogbones would be a worthy upgrade here, but I prefer CVDs when available. These components have one side bolted directly within the driveline so there is no danger of them popping out like dogbones may. If you have ever lost a dogbone you know that these are usually worth their weight in gold, I don’t even want to think about how many hours I have wasted looking for dogbones lost in the grass or on the track. Even if you set your slipper clutch absolutely perfect and baby your car/truck all the time, motor pinions often exhibit plenty signs of wear and tear, especially if a small pebble makes its way in. Even in trucks with sealed spur gear assemblies I have gotten many stock pinions chewed up when running my vehicles in relatively harsh conditions. RTR’s usually come with softer metal pinions and a high quality aftermarket pinion from Robinson Racing usually eliminates any issues and will last as long as your vehicle with proper care. 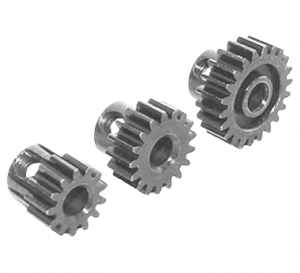 Don’t forget to pick up a few spur gears as well, I like to stick to plastic so the spur wears out before my pinion if foreign objects to get lodged within. 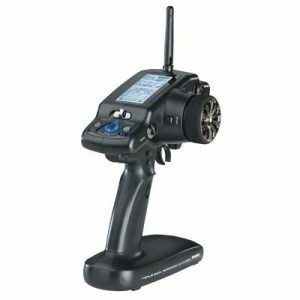 Thankfully all RTR’s come with 2.4 ghz radios nowadays, but not all radios are created equal. Many of the cheaper radios often lack adjustability and even have problems which may cause your new truck to not consistently drive straight even with the trim properly applied. Radio prices are extremely reasonable and offer plenty of reasons on why you would want to upgrade. Of course any of the big name brand radios will track perfectly straight, but they also offer many adjustments that stock RTR radios do not have. 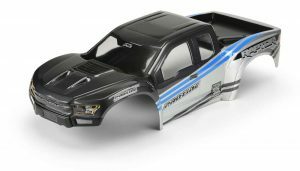 EPA (or End Point Adjustment) is not always included on the cheap RTR radios and can help improve your turning radius if the full steering throw is not being utilized or increase your servo’s life if the end points are a bit too aggressive out of the box. You also get the benefit of having more channels if you choose a higher spec radio. The extra channels can be used for crawlers or scale rigs if you want to operate a winch or LEDs. One of my favorite features of aftermarket radios is the ability to program multiple models into one transmitter. 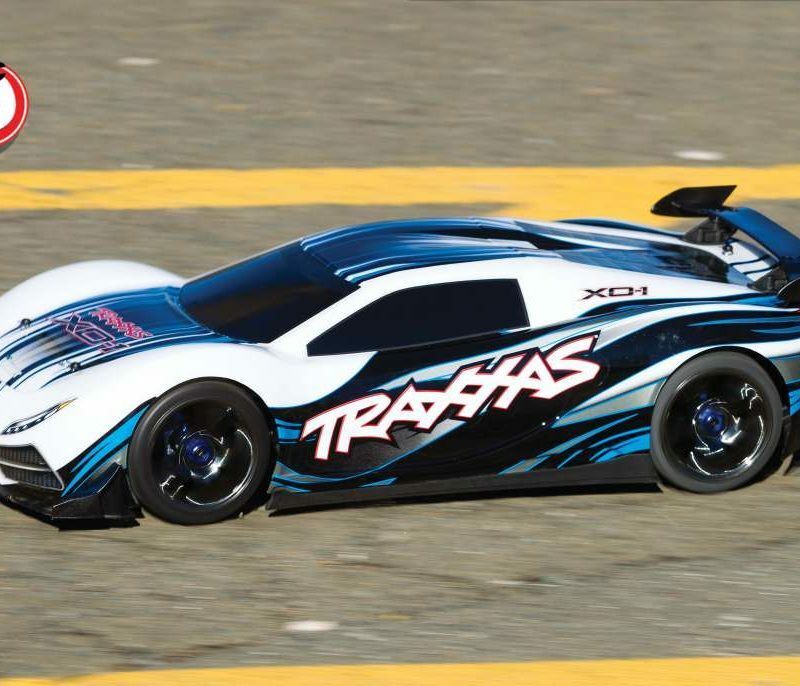 This is a life-saver once you get bitten by the RC bug and trucks start to pile up. Some RTRs are better than others, but every single vehicle I have owned needed better tires than what were included. This is not just for racers either. Bashers generally come with pretty hard compounds that sacrifice grip over performance. This isn’t to say your tires will not last as long as the stock set. 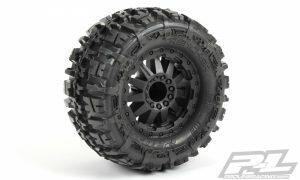 In my experience the compounds from trusted tire manufacturers are so much better than what is included with RTRs that I enjoy increased performance and equal or better durability. Tires and their compounds require tons of research and investment, so they aren’t cheap but they will fully unlock the potential of your rig 99% of the time. I think it also goes without saying if you plan on racing, this should be your number one upgrade, check out what racers are running at your local track. Yeah the stock bodies may look way cooler than what you can paint yourself with rattle cans, but generally they show signs of abuse super early compared to a high quality lexan shell. It is quite surprising how much more durable aftermarket bodies are. 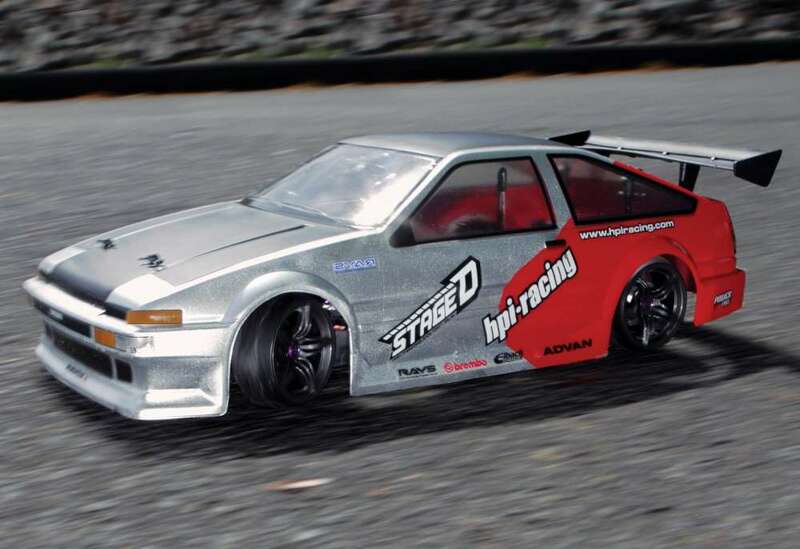 I remember when I first started racing 1/8 scale my stock body lasted about 2 race days with all my crashes. I purchased aftermarket shell, trimmed the body and painted it and the body still is not cracked to this day. 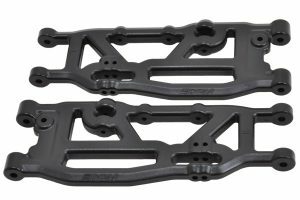 Not only do they offer increased durability, but many offer increased performance with extra downforce and less drag. Slap on an aftermarket wing if your vehicle allows as well, it is amazing how well airflow and the dynamics of a truck/buggy will change with just one part. Many companies generally use the servo as a method of cost cutting, so a higher quality servo will wake up your RTR. 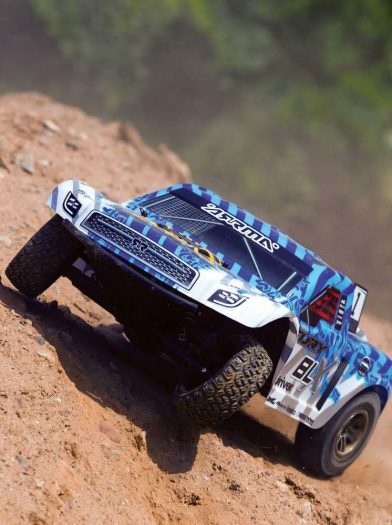 The steering servo has a tough job, especially on trucks with heavy wheels. A higher quality servo can provide more torque, faster transit speeds and even offer better resolution and centering performance. The result is you will not have that delay when you input steering into your transmitter. You also will notice that a higher quality servo will not struggle when turning the wheels from side to side. 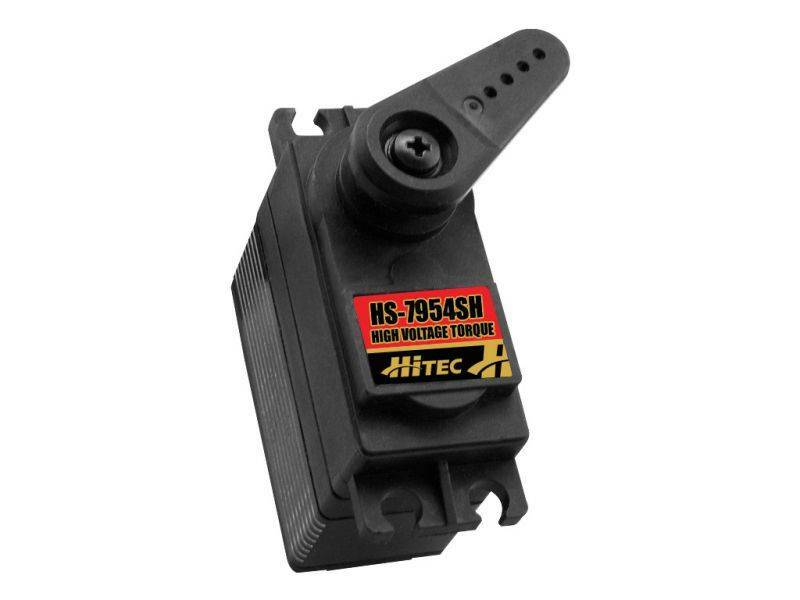 Couple a nice digital servo with an appropriate radio upgrade and you will have a top notch performer ready for the track! I left this section for last because it does not apply to every RTR vehicle, but mostly bashers. When you abuse your vehicle as much as we do (huge jumps, speed runs, etc), it is inevitable that we are going to have some pretty gnarly crashes. When a crash happens, energy is either absorbed or transferred throughout our vehicle and does not always have to result in parts breaking. RPM has been a mainstay in many vehicles ever since I started in the ground based radio control hobby. Their plastics are designed to absorb as much energy as possible, deferring it from more fragile components in your vehicle. They also are generally more beefy than the stock components, so they can handle much more abuse. One upgrade I always recommend are RPM control arms and hub carriers if they offer it for your vehicle. They generally flex a little more than the stock sets, so CVD’s are a great compliment with RPM parts. Of course aluminum parts in the right places are also a worthy upgrade, but be sure to not go bling happy, many times you want a plastic point of failure for easy replacement (much better than bent aluminum!). This is why I recommend RPM so heavily. Well there you have it, my choice for the top 9 Option Parts that you should replace on your RTR vehicle. No RTR car I get stays stock for long and over the years I have gotten this upgrade path down to a science. The best part is that the batteries, charger, radios and more are some components that can be shared with multiple vehicles making the investment that much better. 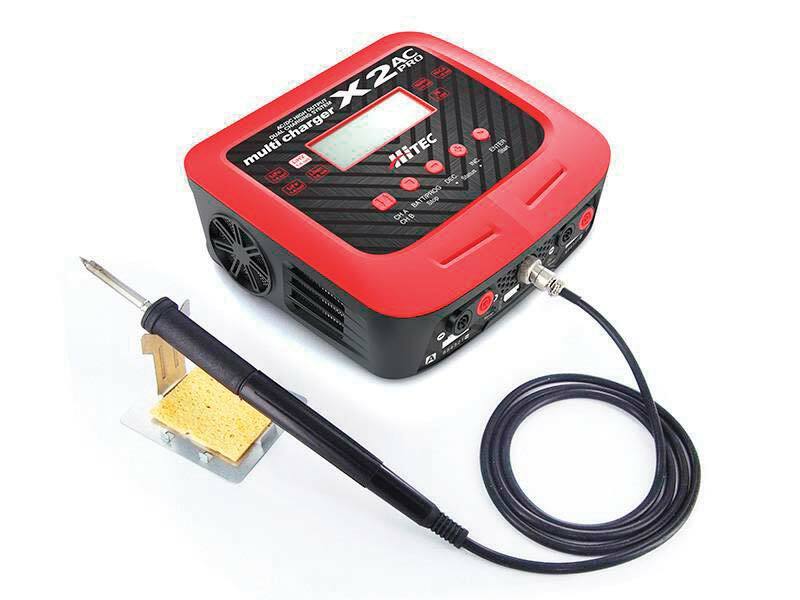 Don’t feel like you have to run out and buy these parts right away, one method that many people like to employ is to replace broken parts with better aftermarket part. That way you slowly transform your boring stock RTR, into a fire-breathing beast!